The Bar Council of Maharashtra and Goa had made an appeal on March 27 to its members to abstain from work on Friday. This appeal came in light of the Bar Council of India’s call for a nationwide protest against the Law Commission of India’s proposed amendments to the Advocate’s Act. There was a mixed response to this call for abstention. While many lawyers chose not to attend court, several senior advocates and other members of bar associations went to the court. 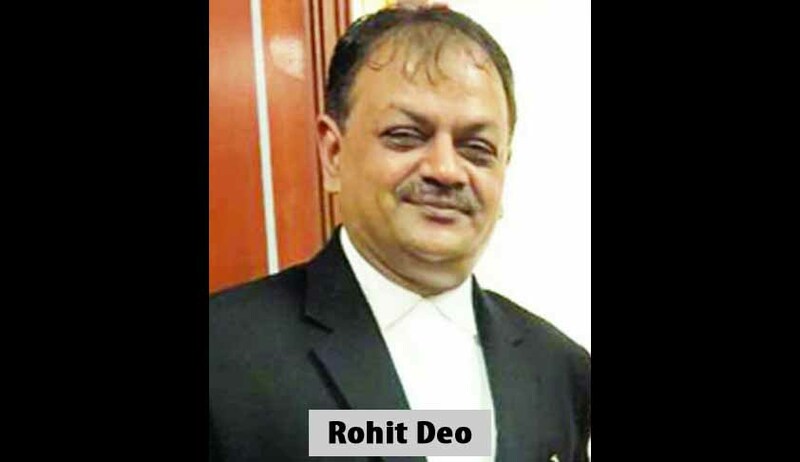 Advocate General Rohit Deo has resigned as chairman of the State Bar Council. Confirming his resignation to LiveLaw, Deo cited personal reasons for the move. “I do not approve of this. It is uncalled for. The Supreme Court has said courts can ignore one-day strike, if it is resorted to in exceptional situations such as to protect the independence of judiciary. However, this should be done by the permission of the chief justice of the high court or a district judge. Hence, the protest is not consistent with the view taken by the SC. With your resignation, what happens to the post of chairman? AG Rohit Deo: I have resigned, probably the Advocate General of Goa would take over. Are there any specific changes proposed by the Law Commission that may need a relook? AG Rohit Deo: There will be an amendment or two, which may need a relook. For example, in a case of misconduct, every professional would want to be judged by his peers. The proposal is to have a five-member committee. Only two would be lawyers, one would be a judicial officer and one eminent person. But even in that case, these proposals need to be deliberated and worked out. Former Advocate General Shreehari Aney minced no words and articulated the reasons for his disapproval of the BCI’s move. Speaking to LiveLaw, he said: “As lawyers, we have a brief. We enter into a contract with our client. Protest cannot be at the cost of this agreement with the client. It is completely illegal. It’s a knee-jerk reaction. This is a recommendation of the Law Commission of India. I was, for 13 years, a member for the state law commission. There are proposals sent on a regular basis on what the law should be. These proposals go to the appropriate ministry, which then considers it. Usually when it is a matter such as this, it is exposed to a larger debate. Bar Council of India and advocate’s associations will naturally be consulted, even if they are not, then they will have a right to enter into a debate about what they feel on this. Assuming that this is will be passed as law, even then, every citizen, including any lawyer, any bar association has the right to challenge the validity of such a law. Instead of doing this, you call for abstention. At least in two judgments, the Supreme Court has said lawyers can’t go on strike. Certain changes suggested by the Law Commission have drawn some sharp reactions from the Bar Council of India. For example, the BCI has called sub clause C of the “proposed to be amended” Section 26 A of the Advocates Act as draconian. The said sub clause essentially states that any advocate, who is found guilty of “serious miscount and abstaining from courts work and causing obstructing in court functioning”, his name will be removed from the rolls of the bar. This, the BCI said, would lead to fear in the minds of advocates, thereby, jeopardising independence of the judiciary. Similarly, fine to be imposed on an advocate for misconduct has been proposed to be fixed between Rs. 3 and 5 lakh. The BCI called this a ‘vague’ provision and said the amount was exorbitant. The BCI also opposed the inclusion of non-lawyers as members of various disciplinary committees.